;;;;;;;;I am an Active Player of LoA for 7 months now, Started last year on November. I recently continued on to an almost 4 months old Server Jonah(757)-HKT starting this May. ;;;;; ; We would like to have our Server Merged Please. 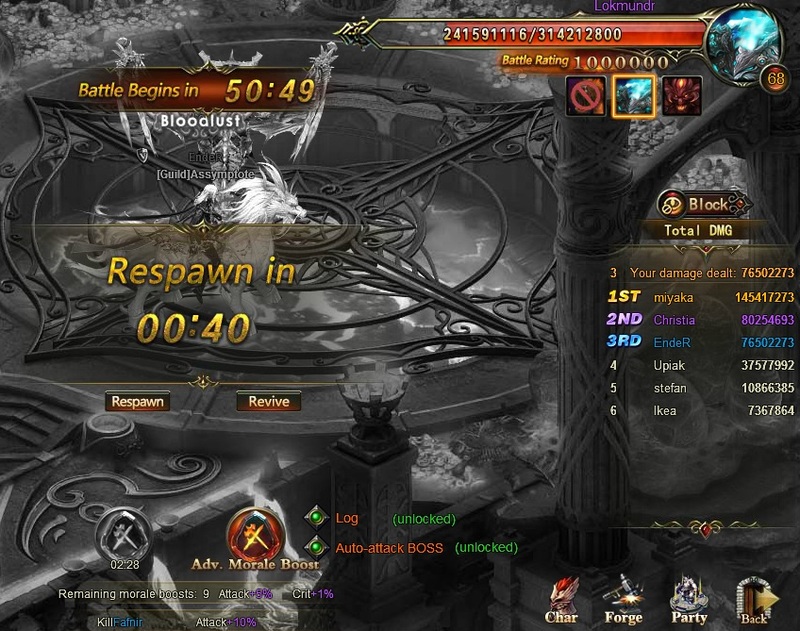 ;;;;;;;;World Boss has had Less than 10 players participating and During Team Arena we\'ve had some Players whom were in a tight dilemma in order to finish all of their Team Arena Attempts. Other Players also have had a Dilemma even doing Team Dungeon with someone and so some had to Downgrade their Team Dungeon Channel Level in order to Help those in need of finishing it. A 3 or 4 months old server will do, in order to merge with us. 2019-4-19 07:06 GMT+8 , Processed in 0.045636 second(s), 34 queries .